Minimaʼs music is a 21st-Century interpretation of the images of silent film. Formed in 2006, Minima perform in cinemas and art centres, as well as music and film festivals, playing original live soundtracks to silent films. Our repertoire includes set scores to classic silents including the 1925 Phantom of the Opera featuring Lon Chaney, Alfred Hitchcock’s The Lodger and German horror films Nosferatu and The Cabinet of Dr. Caligari. The first film we scored, back in 2006, was Germaine Dulac’s 40-minute French avant-garde The Seashell and the Clergyman from 1928. We played this exclusively for over a year with the silent short Symphonie Diagonale, and have since taken on new soundtracks at the rate of about one a year. 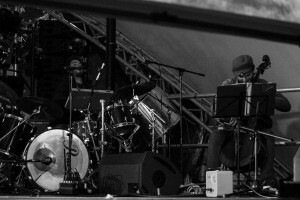 Minima are a Bristol-based four-piece group, with instrumentation including cello, double bass, baritone guitar, acoustic and electric guitars, mandolin, autoharp, dulcimer, synthesizer, glockenspiel and drum kit. We have written for contemporary filmmakers and also offer masterclasses in silent film accompaniment. Our sound is uncompromising and unique; in performance we use no backing tracks or pre-recorded material. 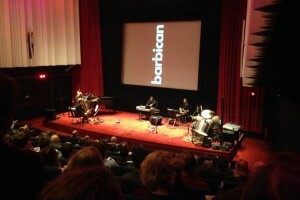 Highlights over the years have included performances at the Glastonbury Festival, the Barbican Centre, BFI Southbank and the Transylvania International Film Festival. We are primarily a live performance group but we have recorded music for short films by contemporary filmmakers and we are always interested in commissions – for silent films or for new soundtrack recordings. 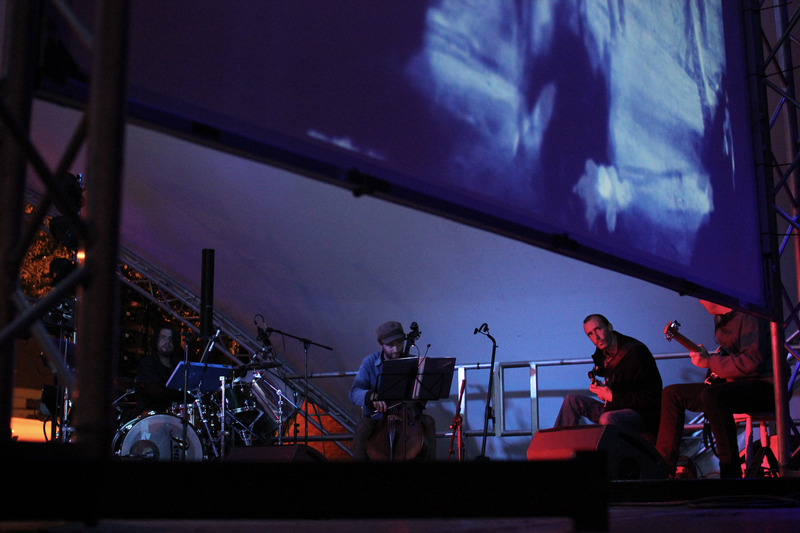 In 2013, Minima worked with Compass Presents on a multi-media production of The Cabinet of Dr. Caligari, using the 1920 film, a live cast of actors and acrobats, additional projections and our score performed live. In 2016, Minima collaborated with the pianist Stephen Horne on a “rescore” of the early sound film Vampyr. 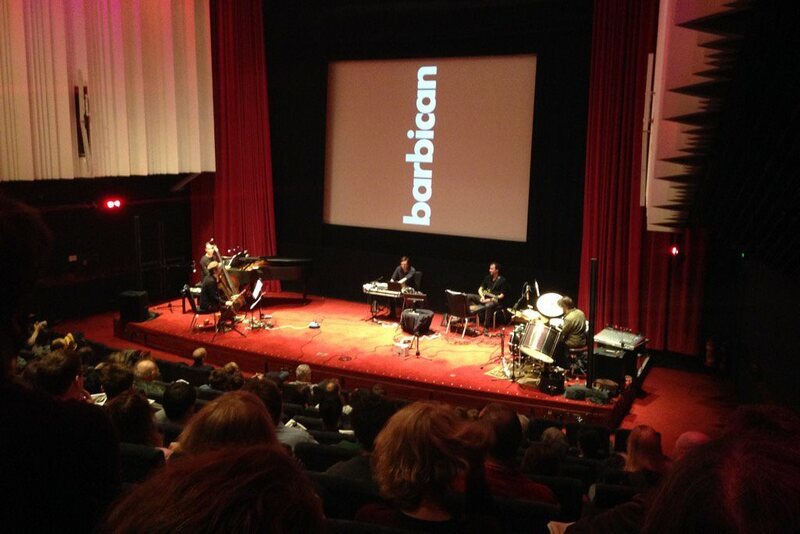 This led to a technically ambitious project to work with William Raban’s 1986 contemplative documentary Thames Film, creating a new live score, in Rabanʼs words, “a triumph”, which we performed live at the 2016 Shuffle Festival in London.